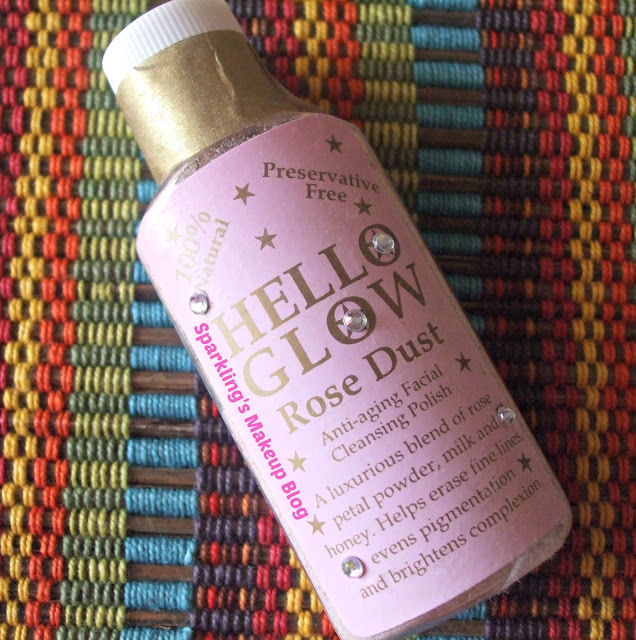 It Cleanses, Polishes, is made of natural ingredients like Rose petal powder, milk and honey and has diamante's on the pink packaging, well how can one just get tempted to a product with such a luxurious description. 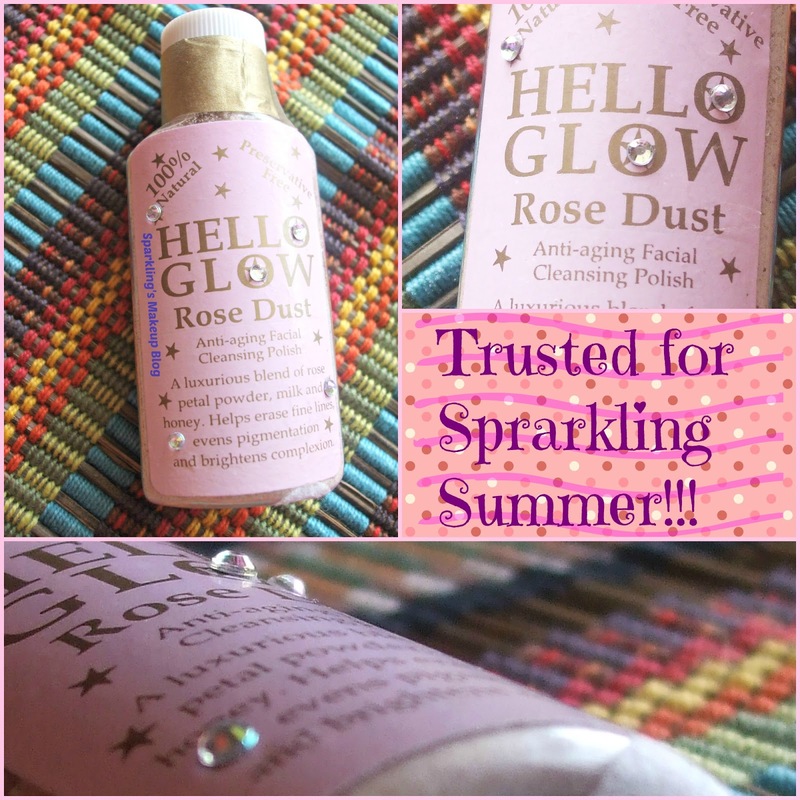 Is Hello Glow Rose Dust Cleansing Polish my "Trusted for Sparkling Summer"??? To Reveal More Read More!!! 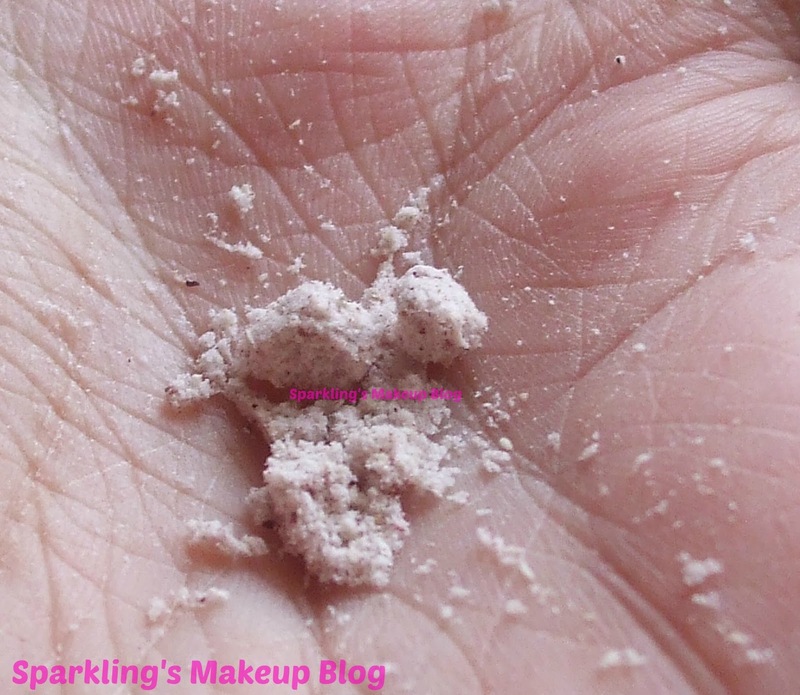 100% natural combination of pure rice powder, milk, potato starch, rose petal powder, honey and coconut milk powder. Roses have been used for centuries in skin care. Rose petals contain carotene, B group vitamins, vitamin C and ascorbic acid. This combination smooths, tones and moisturises skin. Milk contains the exfoliator lactic acid, which gently loosens dead skin. This is combined with rice, which is rich in ceramide to stimulate collagen production and help diminish the appearance of wrinkles. Coconut milk nourishes the skin and honey acts as a natural humectant, attracting moisture to leave skin smooth and glowing.The rich concentration of Vitamin C in potato starch gently lightens pigmentation and dark circles around the eyes. Pour onto wet hands, rub palms together to create a smooth paste, gently massage onto skin for 20 seconds and rinse off with cold water to reveal a radiant complexion. Net Wt. 30 mg, Trial pack. Hmm well I am not sure how? but I got tempted to this one instantly I saw it available on an online store. 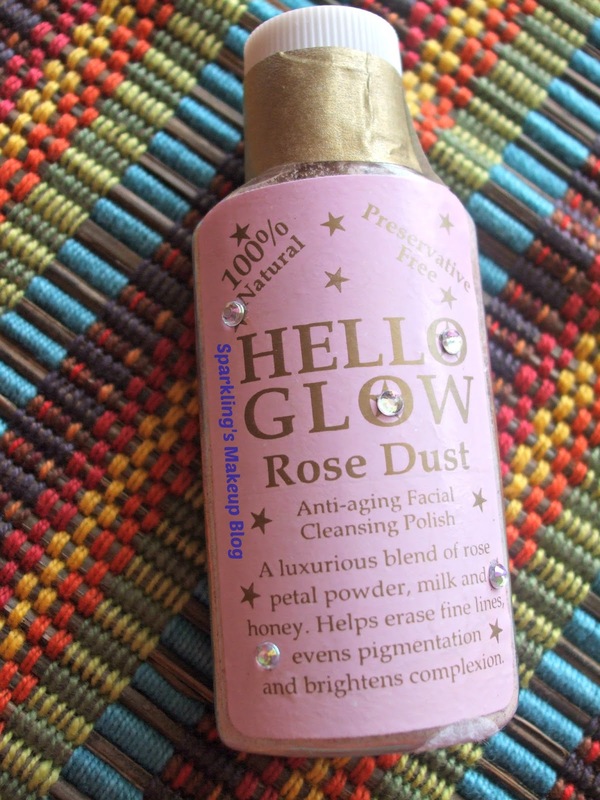 It has a variant which is Hello Glow Whitening Polisher, which I wanted but was not so tempted. This one won my heart with its cute packaging with all that pink colour and diamante's. Rose petal powder and all other natural ingredients were also a reason to get hold of this beauty. As my skin is sensitive I decide to go for the trial pack first. To tell you the truth I was a bit disappointed by the size for the cost I paid for it but it is not even half used even after two months, I have been using it every alter night. So no regrets!!! 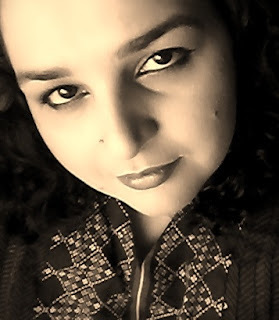 Undoubtedly its outer look captured my attention but the product itself is a true gem. I have very sensitive skin anything saying polish or cleanser with even tiniest exfoliators can hurt my skin, sometime break-outs or sometimes rashes. But with this beauty I had no such experience. I take amount of approx more than half tea-spoon and dab it wet then divide it on my face in sections and rub gently with wet hands for approx 30 seconds, then rinse it off. One really feels as if the face is being massaged with crushed Rose petals. During wash I observed one thing that a white-ish residue is formed that is actually the dried up skin from dry patches, IMPRESSIVE, yes it exfoliates the dried up skin and dead cells. I can see the pores omitting those black head seeds, if any, which will be removed after few washes. It hydrates the skin as during the massage the essential oils of the skin gets aggravated or may be that's the Rose Oil, but that does not mean it will be havoc for oily skin. It just helps to maintain the balance of skin. 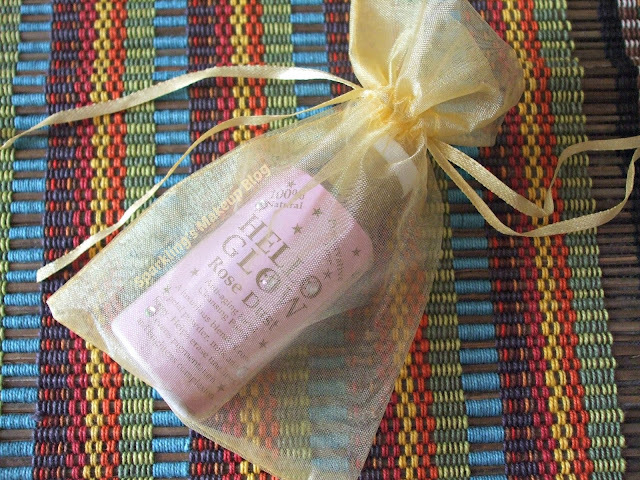 I use it at night time as recommended by many beauty bloggers, then I apply my Serum and off-to-bed-I-go! I can feel a healthy glow on my skin which is soft clean and well taken care of. But all this is obvious after at-least a usage of a week, if you are expecting a dramatically drastic change... then you'll be disappointed, all ingredients are natural and you must know that natural remedies take their time. Give it time and do give it a try. I don't, yet, have any aging signs (*touchwood*) so can't say much about it but yes if the skin is treated with such care and luxury signs of aging will surely stay at bay. I added in my Summer Love but I am sure with its skin balancing it will be evenly great for Winters too, will keep you updated. I am surely going to re-purchase this beauty. 4/5. I will re-purchase it for sure. I love it!!! It costs PKR 650/-. 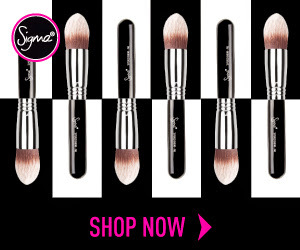 For online (Pakistan) visit Just4Girls & Beauty Arena. Check Rose Link Uk where it costs £4.99 with FREE UK DELIVERY. In Karachi visit Lodhi's in Ashiana Mall. 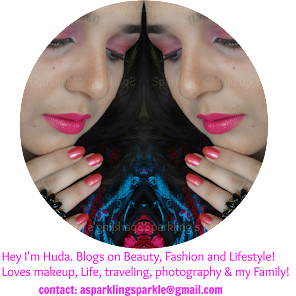 Offer is available at Lodhi's in Aashiana Mall, and online at Beauty Arena"
Read other Sparkling Posts on Hello Glow. 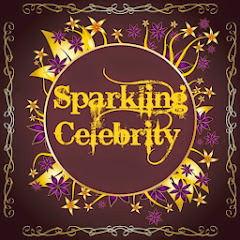 Read other Sparkling Posts on Skin Care. 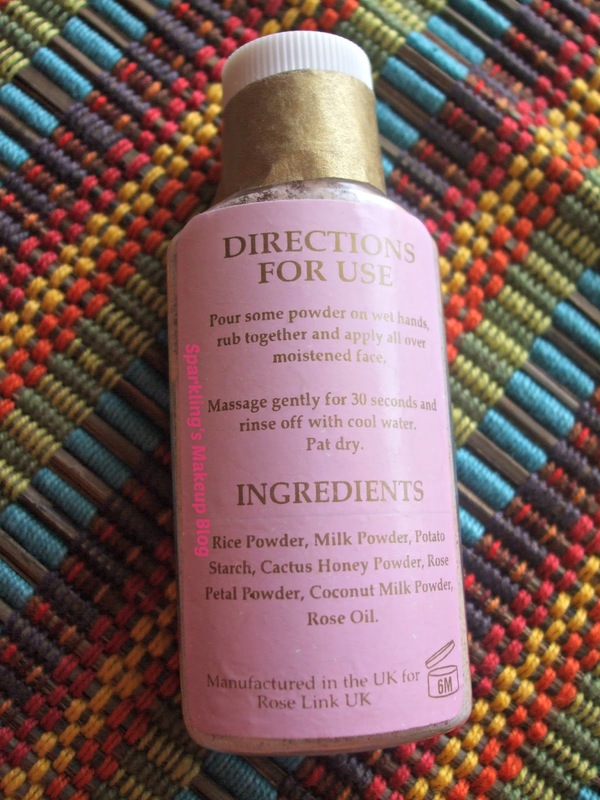 lovely review seems like forest essentials uptan stuff !!!!!!!!! !